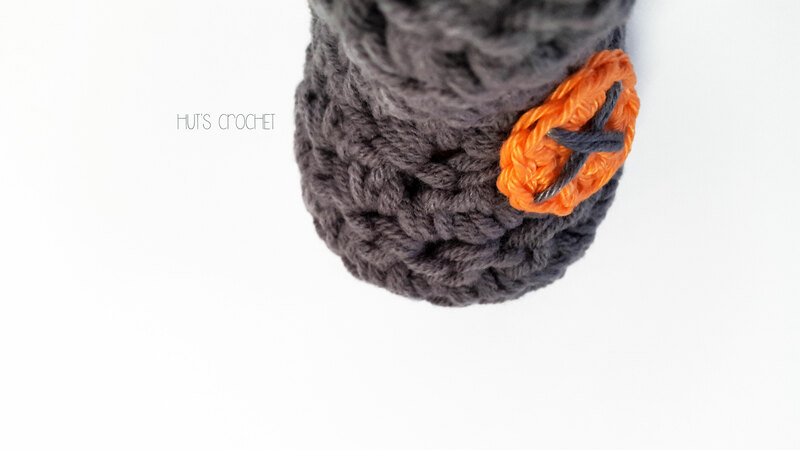 Hut's Cozy - Crochet booties - Welcome to Hut's Crochet's Webseite! My story of crocheting began three years ago without any experience and knowledge. 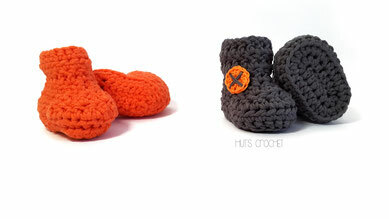 The orange booties you see on the picture below are my first booties ever made. With a thick yarn and a 6 mm hook I stepped into a world of crocheting and started to experiment - before the booties got their right form I unstitched them a hundred times. So never give up and keep trying! At this point I've decided to create a very special pattern: COZY, SIMPLE, FAST to crochet and appropriate for complete beginners. 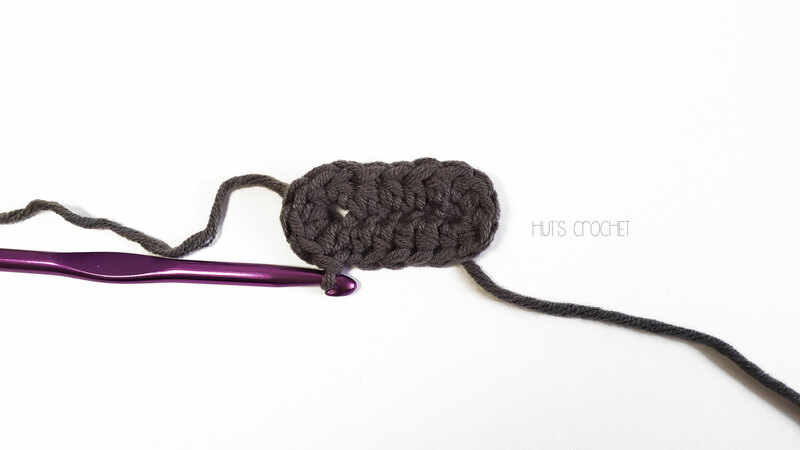 Most crochet stitches appear as abbreviations to save space on the written instructions. 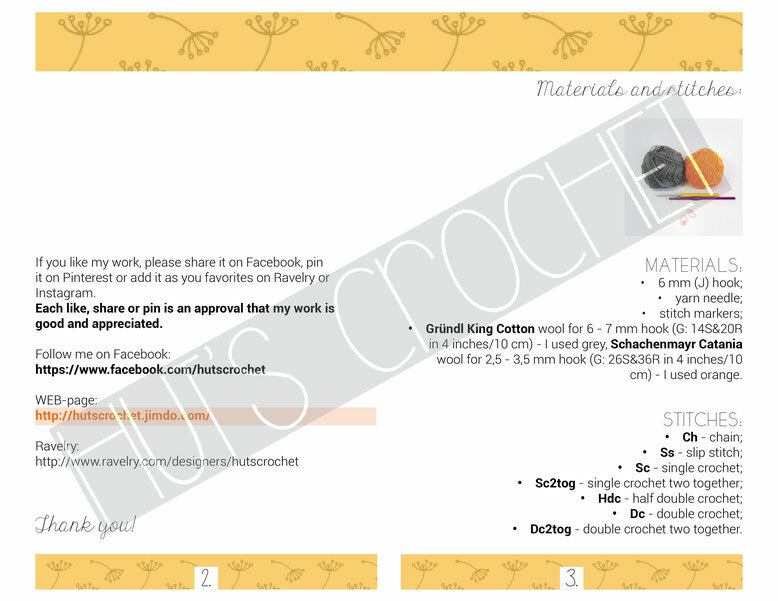 This pattern contains AMERICAN crochet terms and it is assumed that you are familiar with definitions of special abbreviations, given at the beginning of this PDF-pattern. This pattern is a written tutorial with photos of each step. - Gründl King Cotton wool for 6 - 7 mm hook (G: 14S&20R in 4 inches/10 cm) - I used grey, Schachenmayr Catania wool for 2,5 - 3,5 mm hook (G:26S&36R in 4 inches/10 cm) - I used orange.